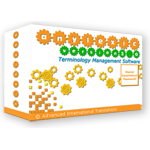 AnyMem is a translation memory manager for Microsoft® Word. 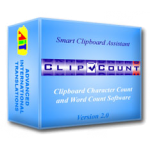 This tool is useful for professional translators who work with texts partially or fully repeating from job to job. The program is not a “machine translator” (professional translators never use those anyway), as it translates nothing but memorizes everything translated by the translator and offers a previously created translation when an identical or similar sentence is translated. Convenient translation memory management: translation memory is stored in a single MEM file, for more convenient exchange. 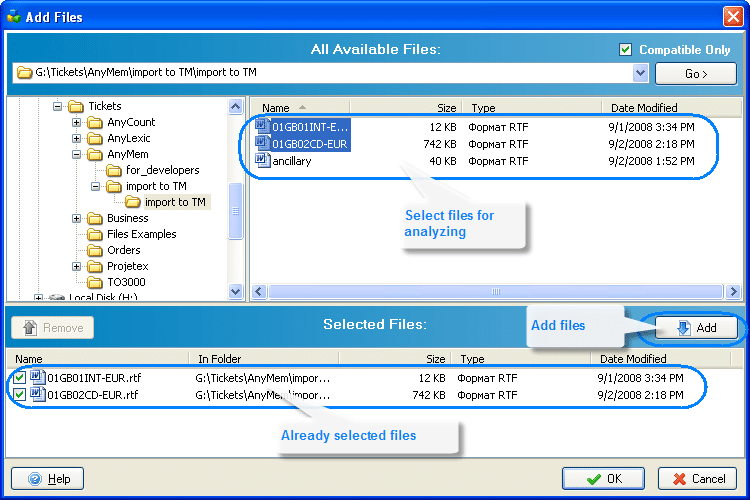 Export translation memory to TMX: translation memory can be exported to TMX 1.1, TMX 1.4. Import translation memory from TMX or MS Word files: AnyMem 2.0 can import translation memory from a TMX 1.1, or TMX 1.4 file, or from a bilingual MS Word file. Flexible text segmentation: configure exceptions to text segmentation rules by adding abbreviations and ordinal follower words. Selective translation: translate only the text which must be translated by specifying styles of paragraphs, which are not to be translated. Document CAT analysis: AnyMem 2.0 can analyze documents to determine the number of matching segments (complete and fuzzy match), and provide accurate CAT text count in words, segments or percent. Flexible data display: configure the way AnyMem 2.0 displays translation memory data with the help of templates. MS Word integration: quickly access most frequently used AnyMem 2.0 commands and functions directly from MS Word with the help of AnyMem 2.0 toolbar. You can also quickly run AnyMem 2.0 directly from MS Word. Unicode support: AnyMem 2.0 CAT engine fully supports Unicode without the need to install additional library components (like.NET Framework or Java Virtual Machine) or switch your system locale. Click here to townload FREE trial version of AnyMem!